Here are the details posted from The Orlando Modern Quilt Guild Website for all of us wanting to make a finished quilt to wrap those affected by this horrible tragedy in love and support. Please make sure you sew a label on your quilt. First and foremost I want to thank each and every one of you for offering your help. I can’t even believe this happened in our town, and am so thankful for any and all help you’re willing to offer. As a quilt community we all love to give and love to help others, and a quilt drive was my immediate thought. Any survivors need to know they are loved and how better to accomplish that than by literally covering them in a quilt covered in hearts, and made with love?! My idea is hearts in bright, rainbow colors to represent everyone affected, and obviously represent the love we are sending them. 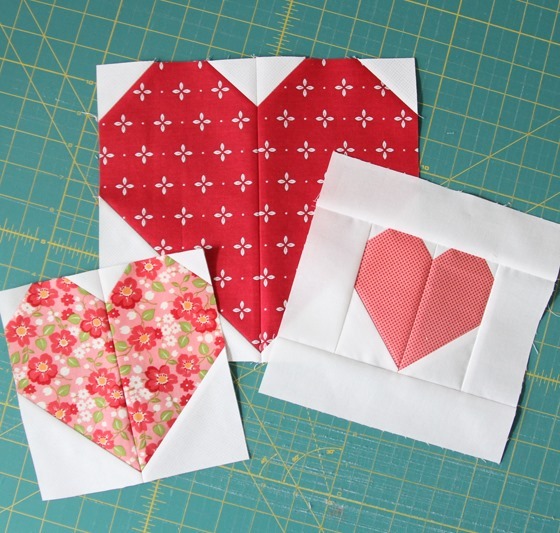 We will be using a tutorial from Cluck Cluck Sew to make 10″ blocks. And I ask that the quilts be no smaller than 5 blocks wide and 6 blocks long. You’re more than welcome to make them larger, I’d just like to keep them at the very least lap sized. This is the tutorial I’d like us to use, and once more, a varying, rainbow of hearts in bright colors, with a low volume background. I think the 10″ blocks will make the sewing a bit quicker, and give us more quilts for the victims. You can put the heart in rainbow order or not, that is up to you, but i would love for you to put a tag on the quilt so that the recipient knows who made the quilt for them. The recipients will hopefully be the survivors and victims families, and those directly affected by the shooting, club owner, etc. I have multiple emails out, and will be updating everyone with more detailed information as I receive it. That includes where to send them. I’m trying to decide where a mass amount of mail will best be received 😉 I’m thinking at my salon, since its commercial, but I’ll post that info in the next day or two! THANK YOU SO MUCH FOR YOUR HELP! There is literally no way our guild could get this done without your help, and I want you to know how much we appreciate it! If you have any other questions please let me know, until then….sew on! We will be making that big one in the back….because we all have big hearts, right??! !